How to Write A Radio Play. The Three Tools of Radio. HOW TO WRITE A RADIO PLAY. In Movies or Television the rule is Show Don’t Tell. In Radio the opposite is true. There’s nothing to show. You must tell. We deal only in what people can hear. To do this we have three tools. Dialogue in radio has to do much more than in any other medium. It has to carry the plot forward, portray the characters, place them in time and space, provide the props and paint the scenery. A great deal of our craft is using dialogue in a sophisticated way to provide information without sounding like we’re hitting the reader over the head with exposition and scene setting. This requires a great deal of imagination and hard work, honing the script to sound natural yet providing a vast amount of information. We are also constricted in the number of characters we can use in a scene. Having too many characters confuses the audience. Characters must be distinctive. We must find different sexes, different ages, different accents, different nationalities. Strong dialects are important tools. The audience is confused if a group of characters is say, all male, twenty something, English and working class. We must look for variety. Build atmosphere and set a location. Monologue is great weapon in radio writing. Great speeches are much more effective when they are told into one ear rather than shouted from a stage. Sound effects are very useful in writing a radio play. They should however be used with discretion. The main job of sound effects is to create atmosphere. The mood of a piece can be set by sound effects. They can’t, however, tell the story for you. It’s very difficult to create location using only sound effects. To suggest a beach is possible for example but to locate a particular place in a city is not. A general city atmosphere however can be created through sound. Strong sounds create instant atmosphere. A bell ringing, a seagull etc. are easliy identified but mushy sounds like traffic and rain are best thought of as background..
A surprising amount can be achieved by sound perspective. A voice approaching for example is created by standing back from the microphone. This is much more effective than footsteps for example. Voices in a small room sound very different from voices in a cathedral or open space. Somebody phoning from a bathroom is different from someone phoning from an office. There is a current trend for on site recording which gets over the problem of creating ambient sound by using the real sound of the place. Live effects/spot effects v Pre-recorded effects. A whole range of pre-recorded sound effects is now available to the radio producer but live effects or spot effects are still used. One of the most famous spot effects is using coconut shells for horse’s hooves. Others are a hot water bottle for being sick or a sawn off bicycle pump and cork with Alka Seltzer, for opening a champagne bottle and pouring it out. Music is a powerful generator of atmosphere. It gives a clue to what sort of story it is. It also sets mood and signals change like the arrival of a ghost or recalling a memory. Music can capture emotions and images. It can swing you instantaneously from one mood to another. It can, as subtly as a raised eyebrow, give to a phrase an extra, and possibly contradictory, level of meaning. It can provide unity, where unity might otherwise be difficult to achieve. Again it can’t tell the story for you. Dialogue must do that. Check out this fantastic course from Euroscript at Birkbeck College London. I’ve always said that writing for radio is much closer to writing for movies than it is to writing for theatre. On radio we can conjure up worlds impossible to recreate on the stage. We can cut from scene to scene and back again rapidly as in the movies. A scene can be be a few seconds long or take up a complete play. The listener becomes the director or cameraman or set designer by imagining the world suggested in the script. This course looks deeper into these ideas and should be a great opportunity for writers to improve their radio writing skills or to make the break from radio into movies. RADIO IS A MEDIUM OF ENDLESS POSSIBILITY. The only limit is your own imagination. Radio can engage the audience more fully than any other medium. You hear a voice, a sound effect, a pause, another voice; perhaps some music. Just a few sounds coming out of a small speaker. But those sounds can have immense impact and power, because you participate in what they create: YOU complete the picture; YOU visualize the scene; YOU are in the story. For the writer, radio can be the most creative medium of all. This course covers nearly every aspect of writing for radio: comedy gags, sketches and shows; radio sitcoms and series; short drama; full-length drama; radio ads – and beyond, to explore all the possibilities of work in the medium. How to use voices and words to create effective characters. How to write distinctive radio dialogue, for comedy and drama. How to write and use monologue – including internal monologue. How and when to use sound effects and music. … and how to take the listener there. How to keep the listener listening. What to leave out, and how to use the sound of silence. How much information the listener can handle. …and which can’t, and will never be as good in any other medium – and why. How to write radio ads and what they can teach you. This is a great review from Hayley McKenzie of Yvonne Grace’s must-read book. Agree with all of it. The book is very relevant to radio writers as well as TV writers, especially if you’re thinking of writing for The Archers or Women’s Hour drama. There might be a ton of books on screenwriting but most of them focus on the glamorous world of writing film. Film talent is making the move to television – even Steven Soderbergh’s got in on the act (The Knick) – and so too are the publishers of screenwriting books. 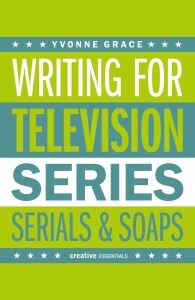 In her no-nonsense book experienced television producer Yvonne Grace guides you through the world of writing for television series. Like all good producers and script editors, Yvonne has a passion for writers and storytelling, married to a pragmatic approach to the industry and writers’ place in it. Her wealth of experience, her passion for the storytelling power of television and her admiration for the writers who deliver those stories is infused through every page. While she doesn’t shy away from the truth of how tough it is (the deadlines she mentions might make your eyes water!) you always feel she’s on the writer’s side. I was reading Ian Briggs great blog http://www.ianbriggs.com when I came across some interesting stuff on writing for radio. He’d dug up a list of guidelines for writing radio drama, issued by the BBC back in 1982. Some of the material is out of date but he wisely highlighted a few paragraphs which are as good as, if not better than, any of the BBC’s currently published guidance. I have to say that I agree and I don’t think he’ll mind if I also share them with you. Radio is a descriptive medium. On the surface it has obvious attractions for the writer in its very simplicity and freedom from technical restrictions. It is the medium of the word — where anything that can be described can be imagined. It can span centuries and continents and can present extremes of action and movement without the limitations imposed by the cost of sets and costumes. It can explore the recesses of a man’s mind without the problem of how to fill the rest of the stage or screen. In short, it is a medium of almost unlimited possibilities — even in times of economic stringency. It would be wrong to assume, however, that this freedom makes it easier to write for than other media. On the contrary, it calls for a greater discipline of structure and a more precise awareness of the nuances of language than most other forms of dramatic writing. Given that the listener must be attracted and held by means of sound alone, then that sound must be constantly stimulating. The visual media can rely on a variety of stimuli — on light and colour and movement — to compel the attention. Deprived of these, the radio writer must construct mental images in the listener’s head by a careful orchestration of the only four sources at his disposal — speech, music, sound and silence. Each of these may have a proper place in the author’s original concept but of course speech is the most important. In radio, the writer must provide everything in his dialogue. The producer can underline, heighten or embroider by skilful casting, timing and use of effects and music, but he can seldom, if ever, create from scratch an idea which is not originally planted in the dialogue. So the dialogue in a radio play will actually contain more information than is normal in everyday speech, but it should still be able to sound completely natural. It follows that radio dialogue and construction make the highest possible demands on the writer’s skill. A radio play that was simply ‘all talk’ in a conventional conversational sense would be very boring. 1. In radio, one abandons the convention of theatre or film in deciding the length or number of ‘scenes’. A sequence in a radio play may be several pages long or it may be simply one line. It depends on the complexity of the idea or the mental image you wish to create ‘ and should never go beyond its natural length. Of all the media, radio can most easily create boredom — and is fatally easy to switch off. 2. When nearing the end of a sequence, it is important to prepare the listeners, as subtly as possible, for the next one. It is easy enough to make a rapid change of scene from a technical point of view but the listeners need help. They have no programme and they can’t see. When the scene or viewpoint has changed, an equally subtle signpost should confirm it. 3. ‘Stage directions’ for the producer’s benefit are a temptation that should be avoided. If it’s important, it should be in the dialogue. If it’s not, then nobody need ever know. 4. It should be remembered that the listeners will always (quite involuntarily) supply their own mental images in response to what they hear. They should be given enough ideas to work on but never so many that they become restricted or confused. Radio is not a definitive medium. At all levels, it should stimulate only, so that the listener can adjust the basic idea to his or her individual experience. 5. When deciding the number of characters in a scene it should be borne in mind that the only ways of establishing someone’s presence unequivocally are either to have them speak or for them to be spoken to by name. If there are too many characters in a scene, the listeners will lose track or become confused. 6. Sound effects, either singly or in sequence should certainly be part of the writer’s concept but it is worth remembering that they need to be integrated in, and usually identified by, the dialogue. Sound effects that are ‘left to the producer’ will be hard to introduce at production stage without altering the balance of the sequence. 7. 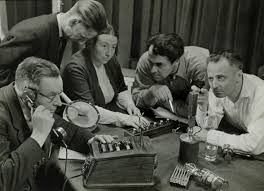 Since radio involves only one of the senses, it is important to construct each individual sequence and the play as a whole, to provide a variety of sound which will hold the listener’s attention. This variety can be achieved in lengths of sequences, number of people speaking, pace of dialogue, volume of sound, background acoustics and location of action. 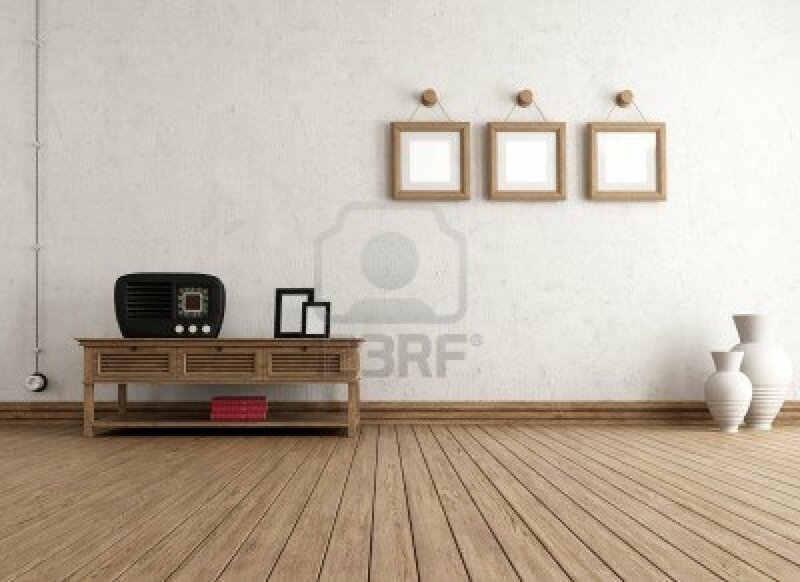 On radio, one room sounds very like another, if they’re roughly the same size, but the difference between in interior and an exterior acoustic is considerable. The difference between a noisy sequence with a number of voices and effects, and a quiet passage of interior monologue, is dramatic and effective. 8. There is no formula for writing a successful radio play. It requires all the basic techniques of good dramatic writing plus an imaginative awareness of the restrictions and advantages of a medium where nothing is seen. It is only by listening as often as possible to radio plays that a writer can begin to judge what works and what doesn’t. Submissions open September and October. As you probably know The BBC Writersroom (until May 2012) has been replaced by the Script Room. This is a means by which the BBC seeks out the best new writing talent, offering writers without a track record, representation, or contacts the opportunity to have their work considered by the BBC. Rather than accept scripts year-round in a rolling system, the BBC now has distinct submission windows for scripts which will be announced on the BBC writersroom Opportunities page throughout the year. Each call will have a deadline, and the scripts received will be assessed intensively by script readers and the Writersroom team, and a shortlist drawn up. Development opportunities will then be offered to the shortlisted group of writers. Be warned, The BBC receives thousands of scripts every year and the competition is extremely tough. When Script Room is open for submissions – the dates and details on how to submit a script will be made available on the BBC writersroom Opportunities page. The submissions are on an online basis and various talent searches are run throughout the year. For 2014 the BBC is accepting submissions by genre. For Scriptroom 7 which closed in July they were accepting scripts for Cbbc dramas, suitable for kids up to 12 years of age. Scriptroom 8 however which will be open in September and October will accept Radio and Stage Drama. This is a great opportunity for radio drama writers to have their work read and assessed by the BBC. So now is the time to get your work ready and polished. I would suggest that before you send anything to the BBC be sure to have your work read by a good script editor who has experience with working for radio. No-one can really accurately edit their own work and an experienced eye is always needed for an objective overview of your work. Of course I am offering my services for this work but any experienced radio writer would be able to help you improve your work to get it ready for the BBC readers. Check my My Services page https://justwrite4radio.wordpress.com/my-services/ for more details. –	Make sure your script is as good as you can make it and only send it in when you believe it represents the best of your writing abilities. – Do not simultaneously send your script elsewhere at the BBC – most departments do not accept unsolicited work and will simply redirect it to us. – Format your script as closely to industry standard as you can. They do not accept handwritten scripts and if you are sending by post – print on only one side of A4 paper. They do not penalise writers for imprecise formatting, but presenting your work appropriately suggests a professional approach and an understanding of the medium and format for which you are writing. There are script formatting programs available. – You will be asked to provide a brief biography when submitting your script online. If there is information about your background you feel is relevant, or you have any other relevant experience, then you can include this. Good luck with your submissions and I look forward to reading your scripts. THE WIRELESS THEATRE COMPANY – more please. I’ve neglected my radio blog a little lately. I’ve been focused on a movie project and a theatre project and have allowed my radio responsibilities to slip a little. 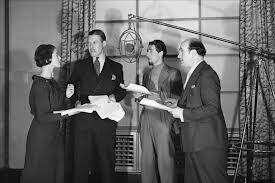 Well, today I’m back with a new blog and a renewed enthusiasm for radio drama. What I want to talk about is the fabulous site, The Wireless Theatre Company. http://wirelesstheatre.co.uk/ Over the last few months I’ve been visiting here and listening to the plays on offer and feel I have to share it with you. The site is dedicated to radio drama and it produces brand new plays by excellent writers to be downloaded and listened to whenever you choose. It does other things too but I feel its main contribution is its commitment to drama production. Its mission statement says that WTC’s main reason for existence is to keep radio drama alive and well, by creating original, exciting audio theatre productions – both for existing radio drama lovers and for the ‘download generation’. They also say that they are there to create a platform for fresh new writers, up and coming acting talent and interesting new ways of producing audio theatre. Recently on WTC I have listened to Windover by Bita Bradbury, Five Kinds of Silence by Shelagh Stevenson and Painted Blind by Adam Elm. I found them to be hugely entertaining and produced to the highest possible standard. I couldn’t recommend them more highly. Upcoming productions include, Life At Death’s Door, Part Two, a drama documentary narrated by Jo Brand. Cross Party II The second part of a comedy written by politician Tom Harris and his wife Carolyn and directed by WTC regular George Maddocks. Purdy & Chase, which follows new private investigating duo and best friends, Pen Purdy and Daisy Chase, as they negotiate the heady mix of insurance fraud and mystery shopping, whilst dealing with their own assortment of doubts and fears. The Wireless Theatre Company isn’t free. It costs £25 per year to download any number of plays. You can, however get a taster by using the monthly subscription of £3 which to me, seems pretty good value. WTC is a fantastic resource and should really be on every radio drama fan’s favourites list. The closing date for this competition is getting close. A number of writers have sent me their plays for script editing, with a view to entering this competition. I have to say that a couple of them are very good indeed. I will be watching the results as nervously as anybody. If you are still considering sending me your play I would advise that you do so as soon as possible. The sooner I get a chance to look a them and report on them the more time you’ll have to rewrite that important draft that’s going to change your life. Remember, there are two first prizes – the best radio play by a writer with English as their first language and the best by a writer with English as their second language. The overall winners will each receive £2000 sterling and a trip to London to see their play being recorded for broadcast on BBC World Service. This year’s competition is run in partnership with Commonwealth Writers again with co-producers – The Open University. This has allowed them to introduce another prize – the Georgi Markov prize for the most promising script. The playwriting competition welcomes scripts from anyone living outside the UK, whether established or new, and encourages writers to use the immense power and accessibility of the medium of radio drama – to their your story, use their imagination and have their “voice” heard. This is a fabulous opportunity for radio playwrights from around the world to have their work produced professionally by the very best radio drama department in the world. The BBC has announced the World Service International Radio Playwriting Competition in partnership with the British Council. The competition is now in its 24th year. There are two first prizes – the best radio play by a writer with English as their first language and the best by a writer with English as their second language. The overall winners will each receive £2000 sterling and a trip to London to see their play being recorded for broadcast on BBC World Service. I would encourage writers to make the most of this chance and to enter the competition. Before entering the competition, make sure your play is in the best possible shape. Polish it and hone it until it you can do no more with it. Don’t simply hope that the readers will be able to see all the great stuff you intended, but which somehow isn’t on the page. The reader’s job is not to take a leap of faith and to predict the great work that might have been. His/her job is to read and be touched or moved by what’s on the page, not by what’s in your head. To this end, have a competent working writer or script editor look over your work. None of us and I mean none of us, can read our own work in any objective way. Neither can our buddies or our families. So get the best help you can. You will see the benefits and you only get one chance. The competition is now open for entries and the closing date is midnight GMT on the 31st January 2014.